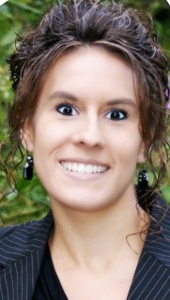 "Stacy is caring, professional and dedicated to making your sure real estate needs are met. If you're looking for a knowledgeable and friendly realtor, Stacy is the agent for you!" "Stacy is very dependable. She gives great advice when needed . I worked with many realtors one in witch for over a year. After I switched to stacy I was closing on a house within a month. I highly recommend Stacy." "Love the experience we are having with Stacey. She answers all of our questions and responds very fast and is always smiling. Being first time home buyers we were nervous but she made the whole process enjoyable." I really want to thank you for everything you did for us. It was frustrating, but definitely worth it. We ended up with a piece of land that is exactly what we've wanted. You did a fantastic job, and I will definitely notify you of any other opportunities I see in the future." "Stacy came highly recommended from friends. They were right. Stacy is a very helpful, knowledgeable and patient realtor. She gave us suggestions to prepare our home for sale and recommended a listing price. We recommend Stacy and will not hesitate to contact her for our future real estate needs. "During the search for our first home, we had a negative experience with another realtor prior to working with Stacy. Stacy was wonderful and such a relief to us! She was very knowledgeable and helpful during our search. She listened to our needs and worked in our desired area. We still keep in contact and she will be the first one we contact for future home listings or purchases." "Helped us negotiate on our new house. Having her also sell our old house. Highly recommend her as an agent if your looking at buying Or selling a home"
"Very responsive to messages, walked us through houses, helped get the deal done. Very willing to help meet our needs. Being first time homebuyers we had many many questions. She was willing to answer each of them with detail." "Stacy was extremely professional, knowledgeable and immediately answered and dealt with with all our buying questions/issues. She even continued to assist us after we closed. She provided numerous recommendations for all of our needs throughout the process. I would definitively use her again and of course recommend her to friends/family"
"We love Stacy! She's quick to respond to any and all inquires. We have a difficult schedule to work around in regard to showing us homes, but she's always been able to accomodate us as much as her schedule allows. We can always count on her honest, straightforward yet always professional opinions." "Stacy, You are an awesome realtor and I think it says it all when the seller's realtor said the same thing about you! You went above and beyond in keeping everyone informed in this entire process. I will definitely recommend you to all of my friends and family. Thank you for finding our dream home!" Working with Stacy was great from start to finish. Both our buying and selling was complicated and Stacy handled it all and made it as easy as possible on us. She was knowledgeable, professional and all around great to work with. We would recommend Stacy to anyone and would gladly work with her again on any real estate needs!" "Stacy Schwenk has been wonderful in our (lengthy) search for the perfect first house. She's very knowledgeable, efficient, and friendly. She has saved us innumerable amounts of time, energy and stress, has great recommendations, and is always helpful." "We love our new home!!! Thanks so much for helping us find it and for answering all our questions! (Cause we had a lot!) LOL You were always so willing to help us in any way! Will definitely recommend you to any family and friends who may be in the market for a new home. If you go by sometime and see us home stop in!! Just a note to express our "Thanks"...We appreciate your care and professionalism. RE/MAX is lucky to have you on staff. Again, our thanks. "Thanks Stacy for all of your help with the sale of my home in Colon, and the purchase of land in Sturgis. I could not have done it without you. You will come highly recommended by me in the future. Thanks again!"" "From the entire board of the Centreville Little League and the over 200 children we serve, we THANK YOU for your sponsorship this year! It is because of your support that we are able to continue to serve the community and provide the best softball and baseball experience to the kids! We hope you'll join us at the fields for a game or two so you can see first hand all of the exciting changes happening. Again, thank you so much for your support! "Thanks Stacy! We couldn't have done it without you! Thank you so much for all of the listing and closings that you do for us! You are doing an AWESOME job! Thanks again! Duane Miller, Unique Investment Group"
"Thank you for all your help. Thank you also for showing us the house on the weekend. We are enjoying our new house. Happy Holidays."